George Cleveland Hall Branch was named in honor of renowned surgeon and chief of staff for Provident Hospital, Dr. George Cleveland Hall. He was the second African American appointed to serve on Chicago Public Library’s Board of Directors. Hall played a vital role, linking the African American community with resources for families and children to achieve greater heights in education, learning and literacy. He persuaded philanthropist Julius Rosenwald to support the purchase of property for the library. 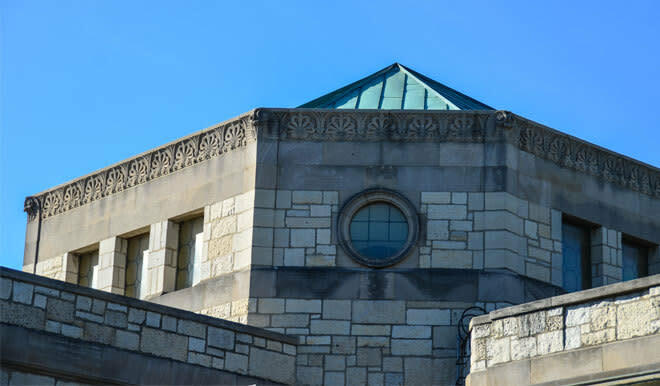 On January 18, 1932, George Cleveland Hall Branch opened under the leadership of branch head Vivian Gordon Harsh and children’s librarian Charlemae Hill-Rollins. Harsh was first African American librarian appointed as a branch head at the Chicago Public Library. For 26 years, she inspired and motivated many authors, poets and writers at the library. Harsh toured the world selecting literary materials for a collection of African American cultural heritage resources, which eventually moved to Carter G. Woodson Regional Library. The children’s reading room at Hall Branch was dedicated as the Charlemae Hill-Rollins Reading Room, honoring Rollins as an energetic author, lecturer and storyteller who served as the first African American appointed president of the Children’s Services Division of the American Library Association. 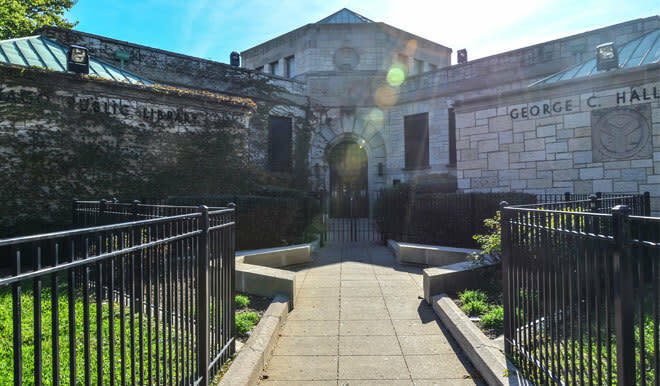 In 1984, George Cleveland Hall Branch was rededicated. The facility was renovated to include a young adult center. On July 7, 2000, the Friends of Libraries USA and Illinois Center for the Book designated George Cleveland Hall Branch as a literary landmark in recognition of the library’s promotion of African American literary culture by serving as a meeting place for such writers as Arna Bontemps, Gwendolyn Brooks, Lorraine Hansberry, Langston Hughes, Zora Neale Hurston, Claude McKay and Richard Wright. Hall Branch features a reading garden.